Animasyon, Aile, Çizgi, Çocuk, Komedi | 60 dk. 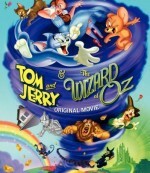 Made in a notably similar fashion to the Kingdom Hearts video game series, the film is an animated remake of MGM's The Wizard of Oz with the addition of Tom and Jerry, incorporating them into the movie as major supporting characters. Droopy and Spike also cameo as minor antagonists.